We are a family that connects with Christ, commits to serve, lives by love, and spreads the Gospel. We use our vision statement to guide and encourage our Junior High through High School students. Our students will learn to love the Church by worshiping Jesus by submitting to Him through prayer, praising Him through music, and by the application of the Word. Sunday School 9 a.m. – 10 a.m.
Students is organized by grade and gender. Students have an adult leader in each class that will walk with them through their journey with Christ, teaching them the Word and encouraging them to memorize Scripture. 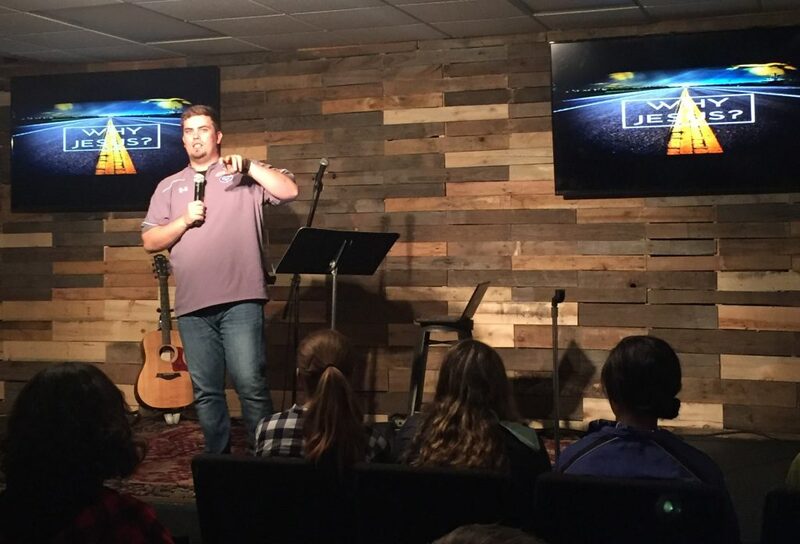 Sunday Nights 6 p.m. – 7 p.m.
Students have the opportunity each week to focus on one act of worship either by prayer, music, or teaching of the Word. Wednesday Nights – IMPACT 6:15 p.m. 7:30 p.m.
IMPACT is an opportunity for students to fellowship, play games, live worship band (youth members playing), and hear the teaching of the Word. We have a program that equips adults to pour into students through one on one time walking through their journeys with Christ. Their time consist of more in-depth Bible teaching, encouragement through trials, confession of sin, Scripture memorization, time of prayer, and relationship building with an adult in the church.